And this is how you know that you are in a Russian neighborhood. 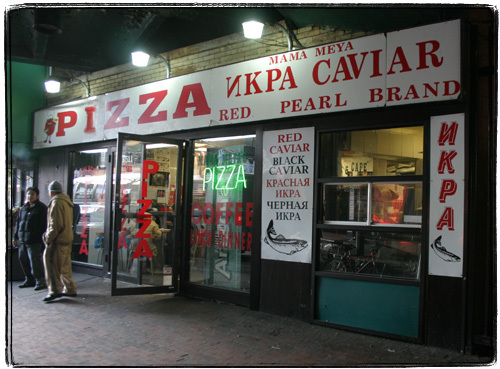 Manhattan migh have Caviarteria, but this store under a Brighton Line train overpass on Kings Highway is something special indeed. It’s not yet open it seems, so I’ll let you know when I have the chance to sample their wares.